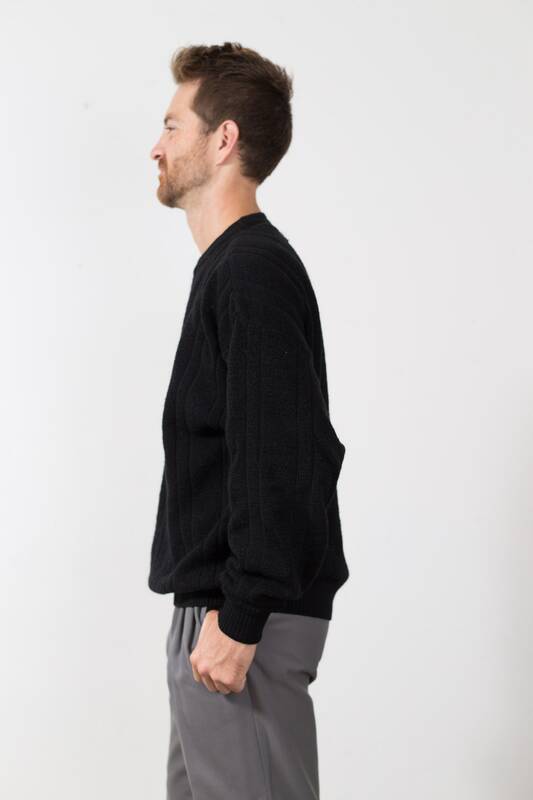 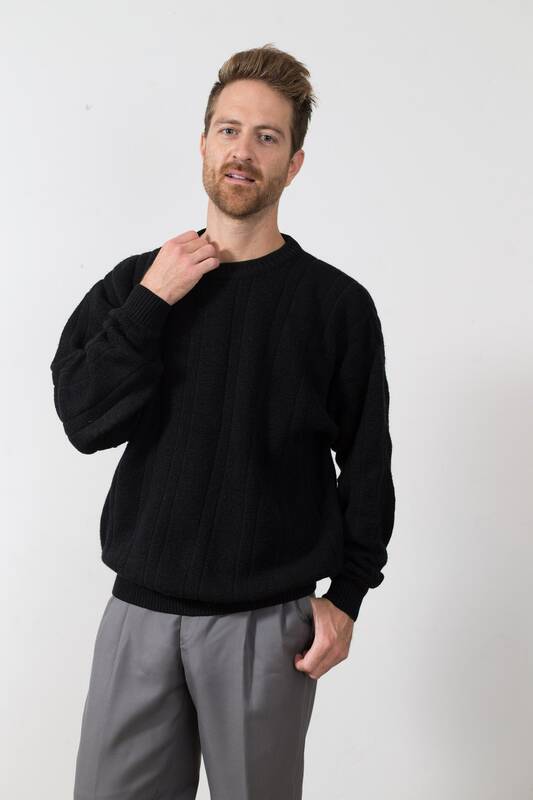 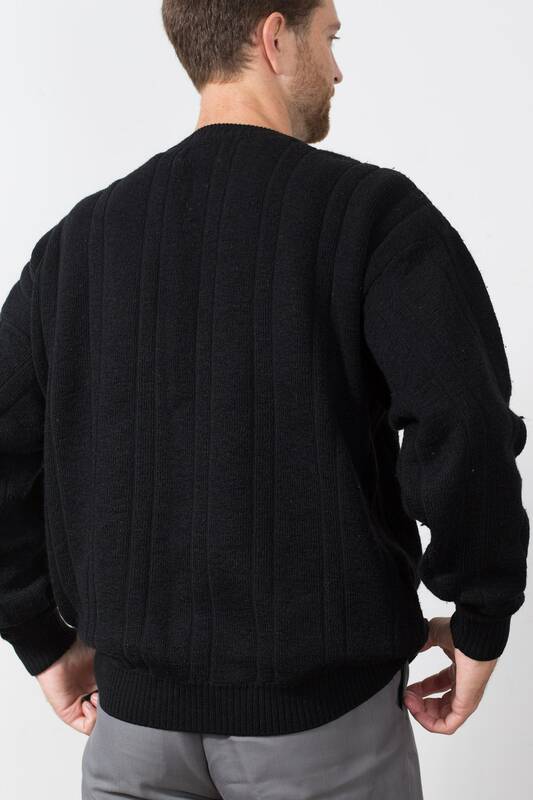 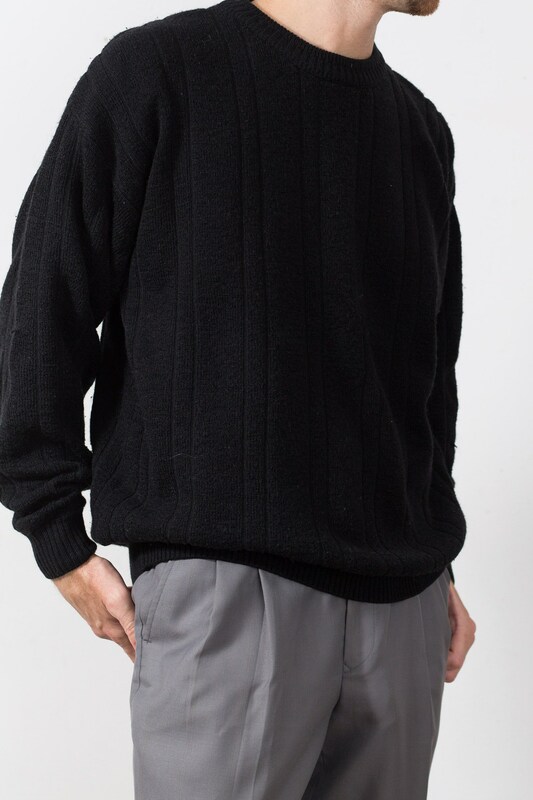 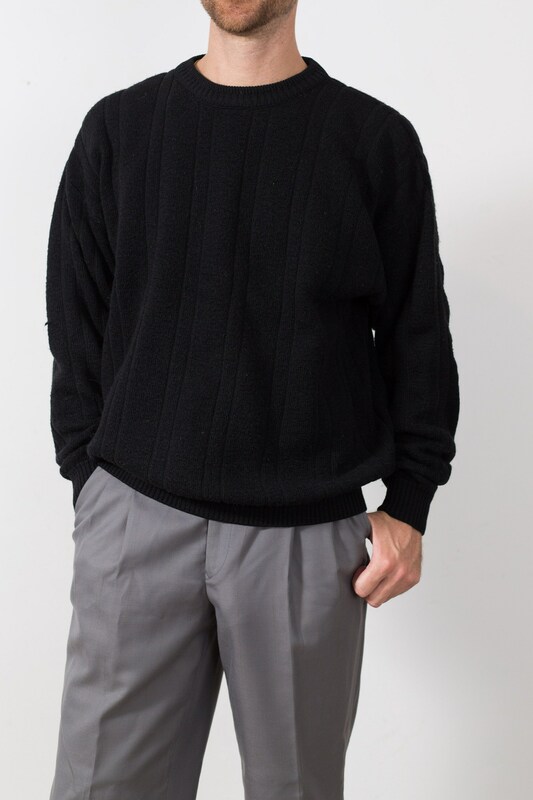 This is a stylish vintage oversized large black pullover crew neck sweater thats great for fall. 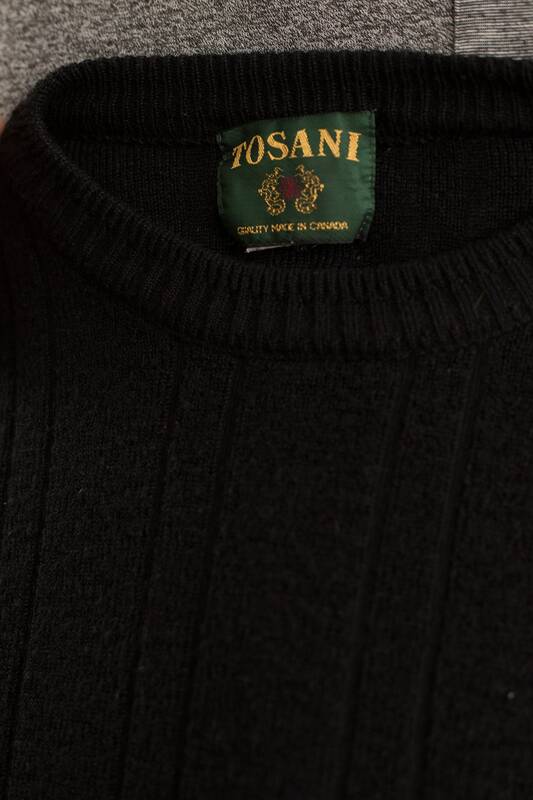 Brand: Tosani (Made in Canada). 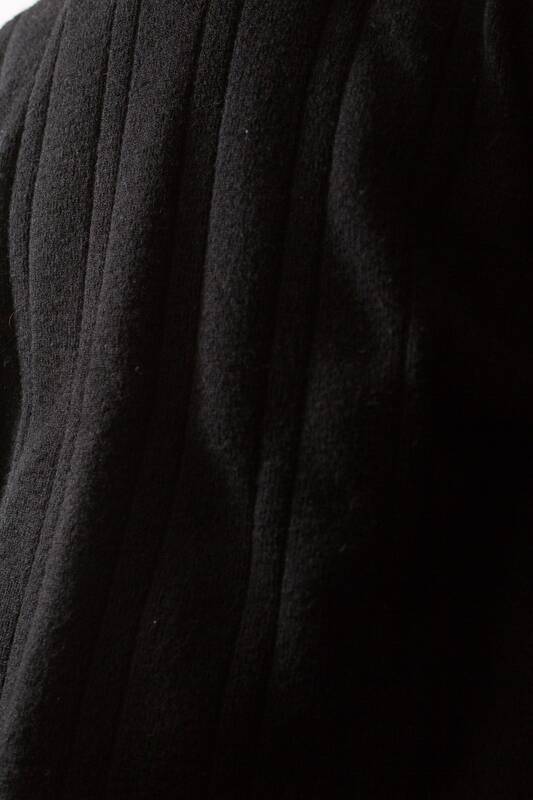 Material: 61% acrylic, 26% wool, 13% nylon.